Oh, Blighty. How you spoil us with your unpredictable weather and confusing climate. It looks sunny outside and the sky is as blue as can be, but, boy, are you cold and windy and just on the verge of pouring a bucket-load of rain on us the minute we decide to grab some lunch. What to wear on those in-between days? Here at Who What Wear UK we like to look on the bright side of life, so our springtime is just another great excuse to invest in a statement piece of knitwear. If you like your sweaters nice 'n' simple and with a dash of sea-faring freshness, then new label Old Harry should be your go-to. 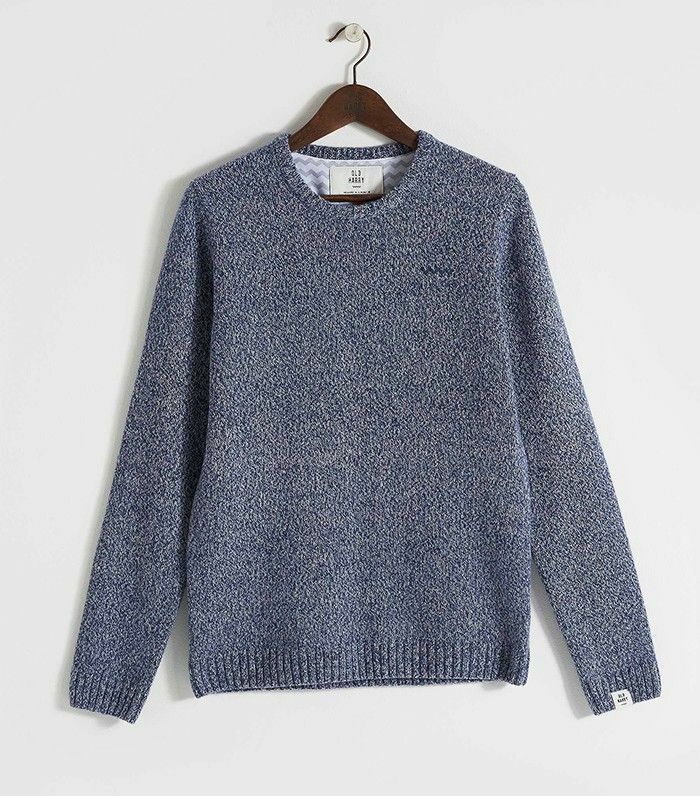 Their classic cotton or wool unisex knits have been picked up by bloggers galore and taken on expeditions from fashion week to more rugged British terrain (via Instagram, obviously). Bella Freud's jaunty jumpers have long been in the wardrobes of the rich and famous. It Brit girls from Poppy Delevingne to Laura Bailey and back again all have at least three in their repetoire, and you can see why. Her little messages and slogos demand a second glance—and can often mean different things to different wearers—but these styles are ultimately neutral and endlessly wearable. If you like your fashion choices with a hefty side-serving of bragging rights, then London-based Alexander Lewis is your man. He switches up his word-emblazoned knits each season depending on the inspiration behind the collection; right now it's all about the "Delicia." These artfully peekaboo jumpers from Zoe Jordan have been such a smash she's continuing to make them as a regular part of a collection called KNITLAB in different colourways and versions. They flash just the right amount of flesh for bodies coming out of hibernation. Plus, your regular jeans/jumper get-up will look all the fresher for one.